At the reception MPs were informed about the current state of the registry. This presentation is the annual report of the Anthony Nolan and NHS Stem Cell Registry, which comprises the four aligned registers in the UK. Anthony Nolan, DKMS (UK), NHS Blood and Transplant, and the Welsh Blood Service. The report highlights the vital work undertaken in 2017 towards achieving the partners’ shared ambitions: recruiting stem cell donors to the aligned registers, banking umbilical cord blood donations, and providing donated stem cells to those in need of a lifesaving transplant. •	There are currently more than 1.4million potential stem cell donors on the UK’s aligned registry. In the 5 years since the alignment of the UK registers, more than half a million potential donors have been added. •	Almost 172,000 new stem cell donors were added to the aligned registry in 2017. Each donor increases the possibility that a match will be found for a patient in desperate need of a stem cell transplant. •	59% of new stem cell donors recruited were under 30, compared to 55% in 2016. This is crucial as the younger the donor, the better the patients chance of survival. •	19% of potential stem cell donors recruited were from black, Asian, or minority ethnic (BAME) background. Patients with BAME heritage still have just a 20% chance of finding the best possible match compared to 69% for white, northern European patients. •	40% of new stem cell donors recruited were male. Men are much more likely to be chosen as stem cell donors: 69% of all UK donors selected were young men aged 30 and under. •	422 UK stem cell donors and 29 UK umbilical cord blood units were provided for UK patients in 2017, giving each patient a second chance at life. Those wishing to join the register can do so by visiting www.anthonynolan.org/join. You must be aged 16-30 to join the stem cell donor register. It is so important that we have as many people on the stem cell register as possible. We have made good strides forward in improving the state of the register, but the report shows that we still need more BAME donors and males. These are the two groups who can make the greatest positive difference. The work of the Anthony Nolan charity is outstanding. They are working tirelessly with MPs, like my neighbour Mark Tami MP, to ensure that other MPs and decision makers are aware of what difference we can make. I look forward to continuing to work with them. 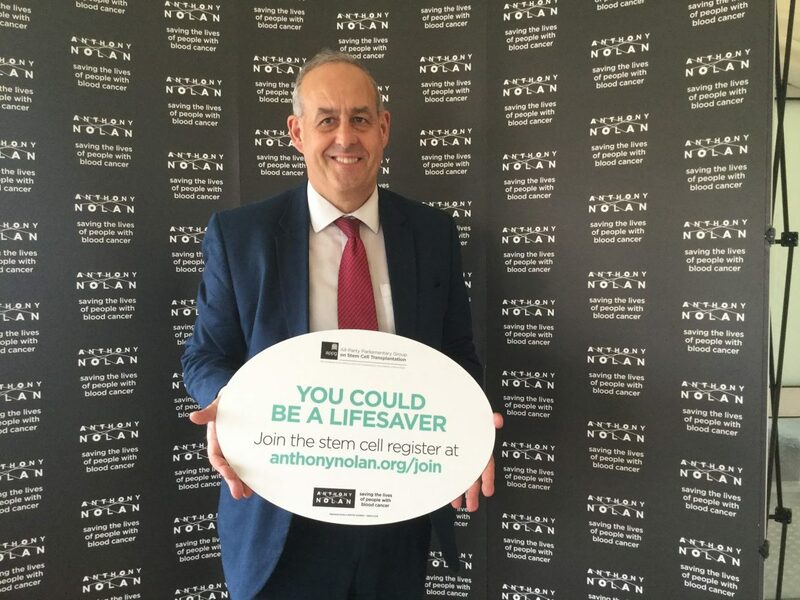 It is extraordinary that Anthony Nolan, which started in 1974, is now helping three people each day find a lifesaving match. Cancer is a disease that sadly impacts all our lives and working together we can overcome its terrible consequences.